England's Hekz is proof that progressive metal continues to advance from one generation to the next. 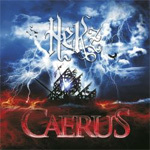 This young band arrives with their second effort, Caerus, a promising and strong album of melodic progressive metal. It's also a rather lengthy album, better than 75 minutes of music, so plan some time to devour this work. The album is a mixture of long epics offset by several shorter numbers. The leading elements seem to revolve around the twin guitar riffs and leads, and Matt Young's vocals. Young is much like the opposite of Geddy Lee, with Young having a deeper sound, but equally versatile. He's clean and melodic, at times soothing and soaring, with a good degree of control. Young also writes nearly all the lyrics, so his interpretation holds a lot of sway over the arrangements. Lyrically, there's appears to be some philosophical, if not pseudo-spirituality, swirling around in Young's mind, expressed largely in duality. The songs Progress & Failure, From Obscurity to Eternity, The Black Hand (contrasted with the white hand, which is also found in Progress & Failure), and The Left Hand of God, as opposed to the right hand which receives more description in Christian Scriptures, for instance. There's much to be said for a band with intelligent and coherent lyrics expressed in strong musical arrangements. 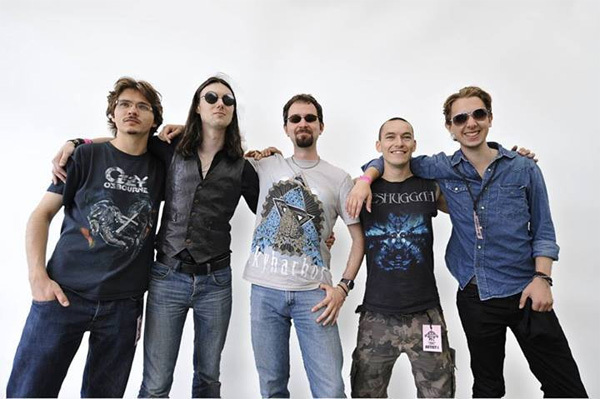 And to the music, most prog metal enthusiasts will be impressed and entertained at Hekz's musical depth and expression. The material within is not necessarily hyper-technical, but it does offer twists and intrigue. At times, the band reminds me of Dream Theater mixed with Haken, with some fundamental classic rock groove thrown in. You'll catch some of the latter in the shorter numbers, Disconnect The World and From Obscurity to Eternity. Mostly, with the riffs combined with the rhythm section, every song has a large and heavy sound, making Caerus definitely more prog metal than prog rock (though that lies beneath). While Hekz can offer intrigue in smaller numbers, in the longer songs you get your share of extravagance and general prog wonkery. The Black Hand and Homo Ex Machina seem to move mostly around the twin guitars, with an abundance of riffs tweaked by leads, and the synths adding both ambience and support. The former song also has some subtle orchestration, notable near the end. The seventeen minute opus, Journey's End is likely the most versatile of the songs, where every musician gets a chance to contribute to and indulge themselves in the arrangement. Of note is the keyboard parts, light piano at the start then, in the center, creating some eerie atmosphere for the guitars to burn off some leads. If that's not enough the sound of Hammond B3 appears around the later third. (I'm guessing it's not an 'actual' Hammond, but it sounds cool.) More large leads follow. All this with Young's vocals a powerful centerpiece. This, all of it actually, leads to a single point by way of conclusion, the production of Caerus is crisp, nearly immaculate. Hands down, Hekz out does themselves with their second album. Easily recommended. Caerus is a fine second effort from Hekz, easily in advancement in their skills and musical presentation, and also being some top shelf progressive metal.